The practice of skiing mobilizes all parts of the body, it is a complete sport. 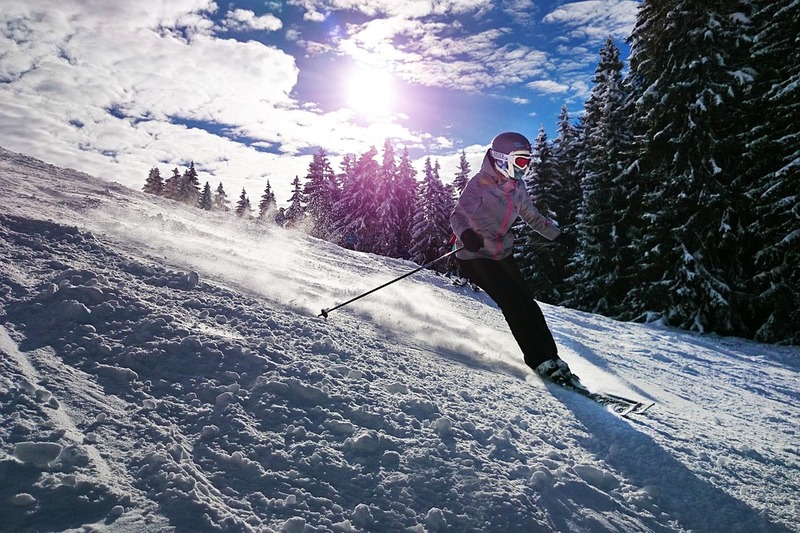 It's a cardiovascular exercise that brings the body to absorb better oxygen and, in cold weather, the body having to make more effort to maintain its homeostasis, it will burn more calories and so the skier can lose weight if he monitors after skiing alimentation, which, it must be admitted, is not always easy. The long queues to book your ski equipment are of the order of a bygone past. It is easy, from home and before departure, to go to the ski rental sites to choose in all tranquility the equipment for each vacationer. The body data are taken into account and kept and at arrival to the ski village, you’ve just to pick up the material prepared in advance and then ski directly and enjoy the slopes from the first moments. A wide choice of various services packages available online such as night watch or interesting discounts or free days allow skiers to find their happiness in peace to have no unpleasant surprise on arrival or not to go to side of interesting opportunities they would not be aware of in the middle of a crowd pressed to rent his equipment. For runway skis, freeride or all mountain skiing, three main criteria must been taken in account to equip yourself. First it depends on your practice, then your level and third your morphology. If you like to make beautiful turns on the ski slopes, runway skis are recommended. If you like the track as much as the edges of tracks and play with the reliefs, choose all mountain skis. If you prefer powder snow, so you need a pair of freeride skis without any doubt. What levels are concerned, you may distinguish first level for beginners who want to start skiing or progress without wanting to tackle the most difficult slopes. Level two is for comfortable skiers on the green to red slopes, in most slopes and types of snow, who master the corners and wish to progress in the technique of turning off. Level three is an expert level to ski fast in all types of snow and on all slopes and skiers who know how to vary the different curves as well as small rays, large, cut corners. Morphology, size and weight, must also been taken in account. There are several sizes : for track ski the right size is about -5 to -15 cm below your waist, for all mountain, from your size to -10 cm, for freeride from -5 to +10 cm as your height and for freestyle, from your size to – 10 cm. The shorter the skis, the easier they are. The weight of the skier also influences the skiing ability.